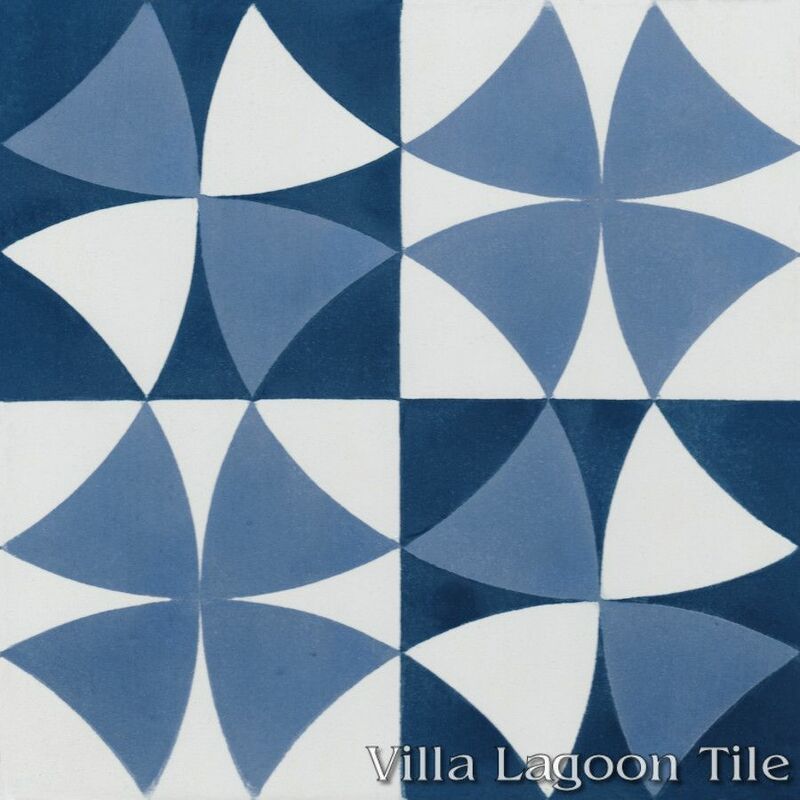 This is a 3-color 8" cement tile, using White and the blues Washed Denim and Deep Inlet from the South Beach Palette. 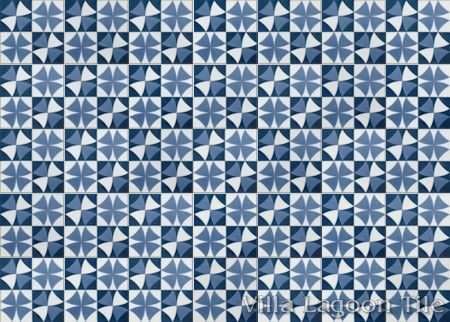 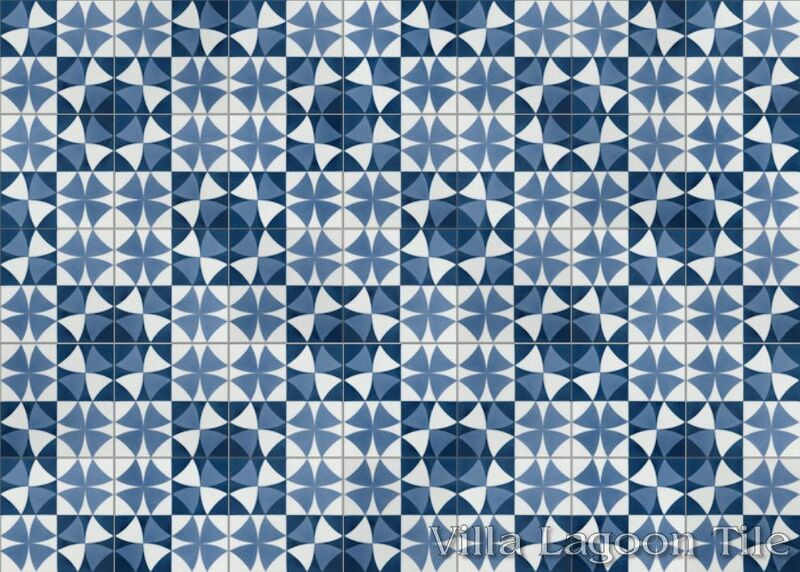 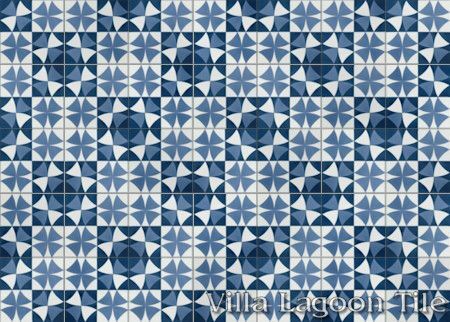 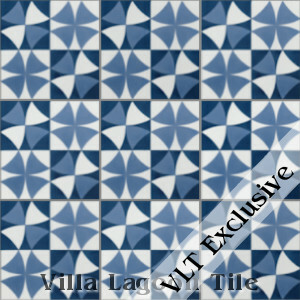 Villa Lagoon Tile is happy to be the first to bring the old quilting pattern "Wandering Ways" to cement tile. 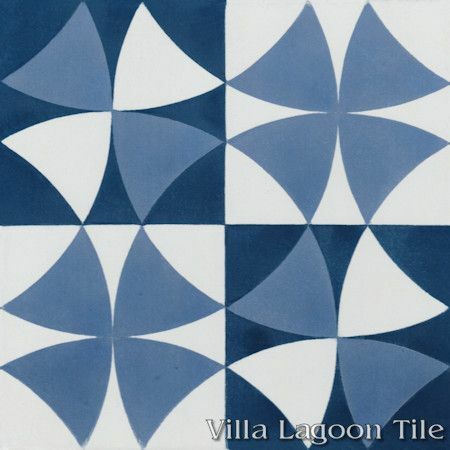 Our "Rotunda" translates this old quilting pattern to cement tile. 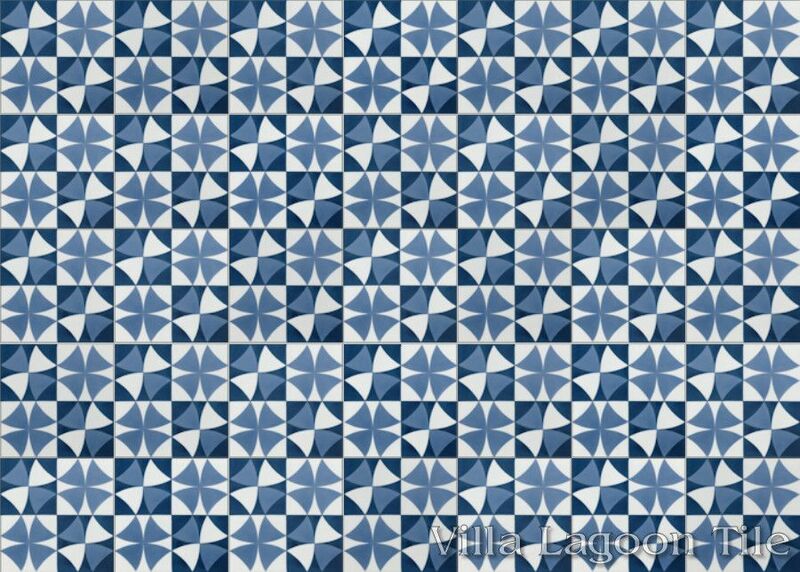 Made purely of overlapping circles, this pattern produces several other shapes including a clover shape that resembles a rounded Maltese Cross.